I am a fully qualified integrative counsellor, therapist and a graduate psychologist. I am also a Counselling tutor. I am an ICO registered practitioner. I abide by the ethical framework of the BACP (British Association of Counsellors and Psychotherapists) and of the BPS (British Psychological Society), which means that I am committed to continual professional development and regular supervision to ensure I can offer excellence in my practice. I am a Registered Member of BACP and a graduate member of BPS. 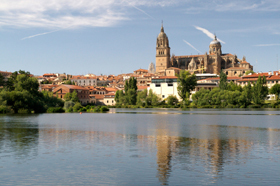 My qualifications include a BSc (Hons) in Philosophy and Educational Science from the University of Salamanca, a beautiful university town in Spain. I specialised in Counselling Studies and Special Needs, and gained some experience in the use of psychometric tests and assessments in a psycho-educational multidisciplinary team at a secondary school. I also worked and co-founded a drop-in support centre for young people in a deprived area of Salamanca. Once I obtained a Proficiency Certificate in English Language from Cambridge University, I completed a BSc (Hons) in Psychology from APU (Cambridge, UK). I then studied the mind, personality and relationships and I acquired an understanding of people and how they behave in different situations. I have studied a Certificate in Counselling Skills and a Diploma in Therapeutic Counselling; both involve an integrative approach to counselling and psychotherapy. They were based on Humanistic theory, Psychodynamic theory and Cognitive Behavioural therapy. I have also developed an interest in Mindfulness and I’m interested in its application in counselling and psychotherapy. I have a MA in Relationship Therapy (Relate Institute, UK, validated by University of Hull), which means that I integrate Systemic Therapy and Psychodynamic Theory. I have a genuine interest in people and have dedicated over 20 years of my life to working with children, young people and vulnerable adults. I have extensive experience in empowering people of all ages to live happier and more fulfilling lives by encouraging positive changes in their lives. I have always been interested in education. I have worked in mainstream and specialist schools, supporting, teaching and tutoring children and young people. I worked in close collaboration with agencies such as Social Service and was a member of various multidisciplinary teams. I also supervised and managed a small team of workers in an educational-residential setting for children and young people with learning and physical difficulties. I have successfully and consistently enabled pupils and students to achieve their goals in order to progress academically. I have been involved with local charities and organisations such as Centre 33 and Wintercomfort where I worked as a counsellor/psychotherapist and with Blue Smile where I was a therapeutic mentor. I have, in the past, been employed by Cambridgeshire County Council as part of a team dedicated to the inclusion of children with physical, behavioural and learning difficulties in the community. I am currently a counsellor/therapist at Relate based in Cambridge, working with individuals, couples and families; I am involved in the delivery of training at Relate Cambridge. 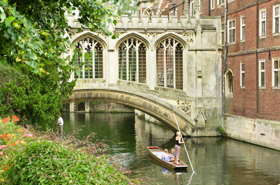 I am also teaching counselling courses in the Adult Education department a college in Cambridge. I take pride on training students who can become counsellors in the future, as I am part of the changes they undertake such as develop their self-insight and self-awareness.